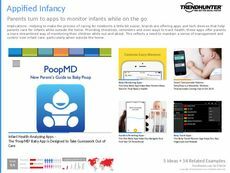 Find Better Ideas, Faster ® with a custom baby fitness trend report, our PRO Dashboard and 80+ categories of premium trend reports. 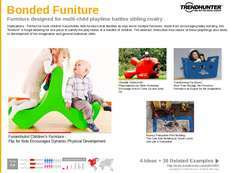 The Baby Fitness Trend Report takes a look at various products in furniture, toy and technology sectors that target a baby's health, growth and development. Parents, more than ever, are committed to the healthy development of their baby. This report showcases a wide variety of innovations that stimulate healthy movement and interaction between babies as well as between a parent and their infant. The report touches on important aspects among these products including safety, effectiveness and customization. 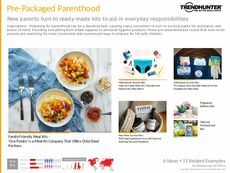 This report is intended for any brand or organization serving consumers who are expecting or who are already raising a young family. Health professionals and baby retailers will find this report incredibly helpful in staying current with the emerging trends and innovations. 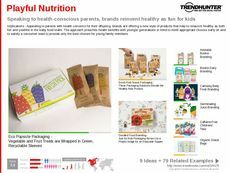 Featuring the most cutting-edge innovations dedicated to enhancing and developing the health of babies, the Baby Fitness Trend Report will keep your team informed and able to adapt.